After about 4 years there were signs of the ply delaminating and water penetration round the sides of the boards. 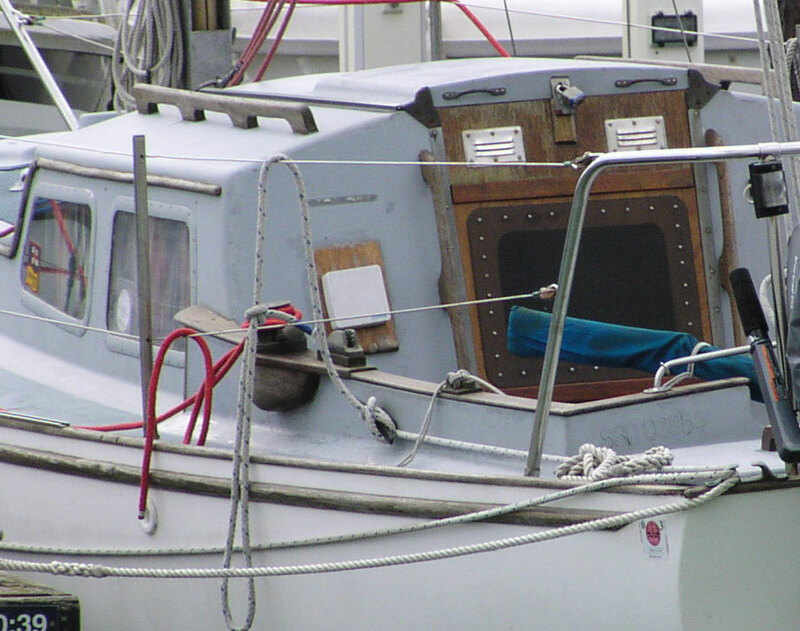 In 2010 we replaced them with teak-faced boards treated with Sikkens Cetol Marine Wood Oil Varnish. To deter wicking of moisture up from the bottom, a strip of teak lipping was epoxied to the bottom edge. 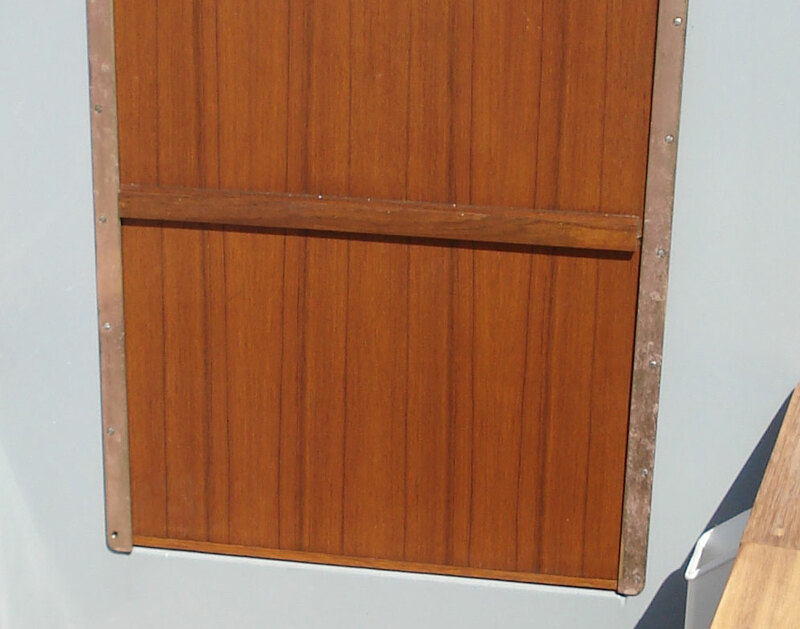 At the same time a simple acrylic canvas cover was fitted to protect the boards and hatchway from rain and sunlight when we are not aboard (that is, most of the time). This is easily rigged and removed as it is simply held in place by four press studs. 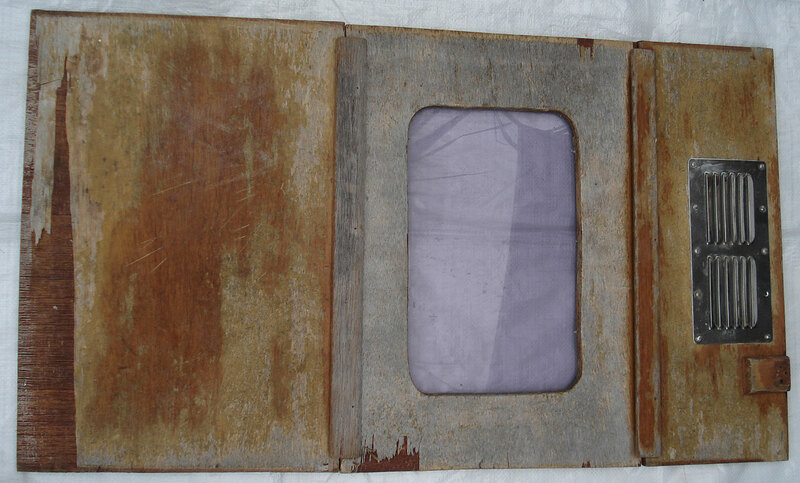 A window could be cut in the central board to provide more light below when hatch boards have to be rigged in bad weather. Applying the perpex inside (as with the first set of Lottie‘s boards) rather than outside (as on Eleanor) is arguably neater. But it exposes more cut plywood edges to moisture ingress. An alternative would be a duplicate board made of perspex for use in harbour. 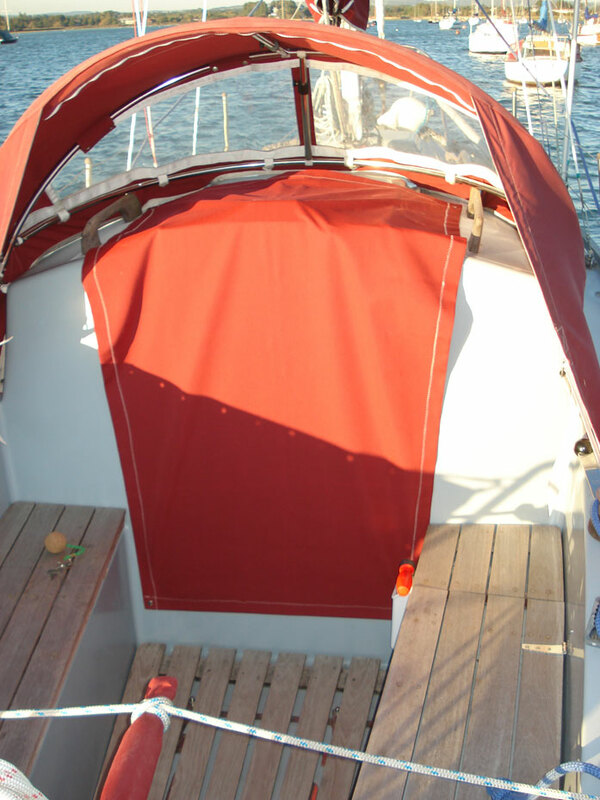 Or a flexible window in the canvas cover so it can be rigged – without the hatchboards – when below in bad weather. The old boards will be refurbished and painted for use over winter so the ‘best’ boards can be preserved in the dry at home while Lottie is laid up.